Human Capital Workgroup initiatives help ensure that employees in key industries have the skills needed to meet the changing needs of businesses. Bringing disparate groups together to solve workforce problems. Harnessing the expertise of leaders in business, labor, education, economic development and other sectors. Convening competitors within specific industries for greater economic impact. Below are updates designed to measure progress on sectors and programs within the Human Capital Workgroup initiatives. Objective: Improve the labor supply in the life sciences sector, growing the human capital necessary to attract and retain companies in the Kansas City region. Objective: Improve the labor supply in industry sectors of architecture, engineering and technology, growing the human capital necessary to attract and retain companies in the Kansas City region. Objective: Improve the labor supply in the building trades sector, growing the human capital necessary to attract and retain companies in the Kansas City region. Objective: Clarify skills valued by employers and help teachers, schools and school districts align authentic teaching and learning to the expectations of the workplace. Objective: Increase postsecondary attainment in the greater Kansas City metro area by providing scholarships and college completion support to traditional students and adult learners and by supporting college savings starting at 9th grade. Objective: Increase postsecondary attainment in the Greater Kansas City metro area by supporting adults to return to school and earn college degrees or high-quality certifications. Objective: Attract, retain and integrate immigrants as part of an economic growth strategy. 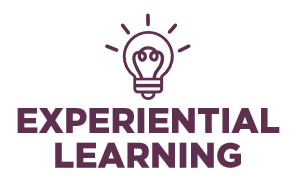 Objective: Identify a regional strategy to expand the number of and access to experiential learning opportunities.